The three Cubans, who returned to their native country on December 17, commented on the details of the transfer, described by Labañino as very discreet and well organized on the part of U.S. authorities and those in Havana. Labañino and Guerrero both noted the silence maintained around the news of their return during the transfer from their respective prisons to the medical center from which they left the country, and the urgency of every movement. They clarified that they were transferred two days beforehand, while Gerardo was moved the previous week and confined in the hole. 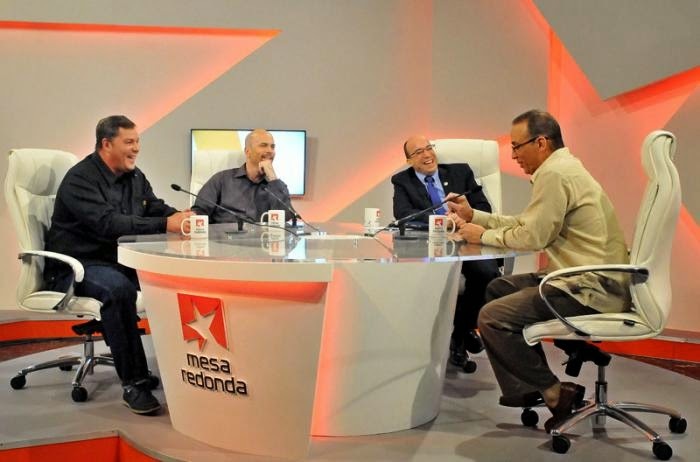 Gerardo, Antonio and Ramón, together with Fernando González and René González, were incarcerated in the United States for informing the Cuban authorities of acts of terrorism planned by violent groups based in Florida. Fernando and René had returned to Cuba previously after fully completing their prison terms. On this occasion they conceded the space to their recently released brothers in struggle. THE ENCOUNTER Antonio Guerrero: “At 5:30 am a nurse arrived and said to me, 'Guerrero, get down, you have to pack, at 6:30 you have to be in the concourse, you understand? You want me to say it in Spanish?' “The doors were closed, they are opened just after 6:00 and I said to my cell mate, 'Get up, I told you I was going before you!' He was to be released on January 20 and I'd said to him a few times that there was a possibility of me going before him. “In the department to which they transferred us I began to take note of strange things, starting from the fact that I had not requested any transfer. From there they moved me to the room from which I was to be collected and while I was there they came and said, 'Guerrero, you're going to Bourne!' – the Bourne Medical Center. “I continued thinking about the possibility of going somewhere else, but they were already saying that I was going to a prison. “I arrived after Ramón, about three in the afternoon on Monday the 15th. From there I went to the department, I didn't have Ramón's luck to know that Gerardo had been transferred, I didn’t have that information and when I reached that department there was a nurse, a Puerto Rican working there, and an officer from whom I tried to get some information, and what they said was that there was a unit there for workers, which wasn’t a medical one, and everything indicated that I was assigned to that unit. “They took me to a hole cell in another area, he told me to sleep well because he would be coming to get me at 7:00 in the morning! “Before seven, they came to ask me if I was ready, one of the officers who had transferred me came to collect me. We went along a passage, they took the cuffs off me, but we were moving at supersonic speed. ”There were some officers running and those taking me didn’t stop, they led me to a passageway which gave on to the visitors room, the officer stopped in the doorway and said to me, 'Let's go!' and that’s when I saw a person shaking Gerardo's hand, there were quite a few people there, but I couldn’t contain myself and said to him, 'Gerar!' I imagined the same thing had happened to him, but up until that moment I had no idea and he also said he didn’t know what was going on. We had that first encounter in Bourne.” Gerardo Hernández: “I left the prison without any advance notice. When they moved me I had been put in the hole in Oklahoma for 11 days. I thought that they also wanted me to refresh the details incase anything had to be corrected by Kcho (a Cuban artist) in the installation. They moved Ramón and me the same day, Monday the 15th, in different conditions. Gerardo: “It was a very difficult time. Initially, ten of us were arrested. I was the only one who knew the other nine. That says a lot for the attitude of our compañeros. In effect, five people were unable to resist the pressure and decided to cooperate with the authorities against us. The damage was not so great from the operative point of view, because thanks to the compartmentalization they didn’t know that much. They could only use one person to testify against us during the trial. In the end they realized that it was doing them more harm than good. “Those first moments were of reaffirmation. We were aware that their intentions were to put on a propaganda show. They knew that we hadn’t done any damage to the country, nor did we have information that could threaten U.S. national security. “I remember some years later an article came out in the Miami Herald with the title, ‘Spy may hold key' which was counting on me betraying Fidel and Raúl on the day we lost our appeals. “There were three officers among us and they were in the group of the Five which remained unbroken. The ones who decided to collaborate with the United States did not have that rank. That was the ultimate dream for the prosecution, to have an officer to accuse Cuba. When they didn’t get that, they opted for cruelty. “I want to highlight the attitude of my other four brothers. They had very little against René, or against Fernando, if they had yielded they wouldn’t have spent a year in prison. Ramón: “The officer who was with me kept repeating, 'I know your story, I know who you are and what you are doing here.' And I would say to him, 'All right, tell me what I'm doing here,' to see what happened. Because in all of this you think maybe they're confused, they think it's drugs or something else. But when I saw all the guys I realized that things were more serious. There comes a moment in one's life when a man has to define himself and know what side he is going to take in history, and it is the moment when he reaffirms himself as a revolutionary. And we opted for the correct option, that of being on the side of our people, of our Comandante and the history of the homeland. “Because from the very first moment we realized that it would not only be a personal betrayal, but could have major consequences, including an escalation of another kind, which in its most extreme form could be military. That process could be manipulated against our people. THE RETURN Antonio: “The 31st (December), we spent together as a family, an extended family. It's not 16 years, in my case its 24. But when we gave each other friendly hugs and kisses, those 24 years were erased. We have recounted some things but since we've been here, from when I wake up from when I go to bed, what has passed has been left behind in the past, I feel neither rancor nor nostalgia. I don’t know where to fit another little piece of happiness inside of myself. My two sons are marvelous young men. Gabriel is in Panama. Gerardo: “Gema is a pretty and peaceful baby girl. From the beginning I wanted her to be a girl, because boys get very spoiled. In any event, Gema already has her little Industriales shirt, because who's to say that baseball isn’t for girls as well. “One of the most difficult things about being in prison was the frustration of not having children. In these difficult times the only way we found of giving form to our sentiments was through poetry, although neither of us were poets. Thus arose the letter to the child who was to come, which was to be sent to Adriana, but René asked me for it and said that it would be a good idea to publish it in the newspaper as a way of making it known. REASONS FOR NOT BREAKING Antonio: “I have tried to explain that in our minds we were never prisoners. Now people are going to say, 'This one has lost it on the Roundtable.' But in our minds we always maintained equanimity and an internal strength based above all on our innocence. If you are doing something bad and you are caught, if you are attached to material things and are locked up, you become afraid. But materially, we lived very austere lives. We were dedicated to a concrete task. I, for example, lived a normal life, and those conditions and the things we had within us, meant that we never felt like prisoners, and much less like giving up. There were hard moments. In the hole area, on the second day, we went down to a little room and I commented to them, 'I have a poem in my mind, even though I haven’t been able to write it. “Poetry arrived in us all in some way and we converted it into a weapon of resistance. But, in particular, we had two things: we had the conviction that we would receive constant support for getting out of there, we had our innocence and above all, we were prepared to die there. 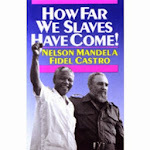 “We had a photo of Mandela and another one of Che. We had values. We were very clear that if you die for a just cause, you do not die. In tranquility I will say that we did nothing extraordinary, we did what it befell us to do. 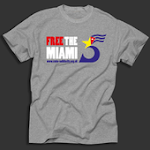 In reality, they should have arrested the terrorists, but they arrested us and imposed the worst conditions on us in Miami. Gerardo: Initially Antonio and Ramón had their hopes dashed. In our minds, the only sure thing was that we would have to die in prison, if the government decision was sustained. Obviously, one thinks that won't happen, but what one knows with certainty is that we weren’t in that place by chance. It was not an improvised mission. “The guidebook of this profession says that if you are caught, in no way must you acknowledge who you work for. If they catch you, you’ve had it. Ramón: ”When they arrested us in Miami that was the hardest part, the part you don’t want to think about, I refused to do so. So you begin an internal search, to dream of things. That, and revolutionary idealism, that’s what helps you to win out. Every time I thought about my wife, my daughters, of the hardship for them and for me, of everything that was happening, of not having been able to enjoy Elizabeth's two pregnancies, of not seeing my little girls, and of Cuba, the pain was very intense. So I, for example, took refuge in sports, I became obsessed by them, I am an avid chess supporter, chess absorbed me and I said to myself, 'I have to think of the task, of Gerardo, of the struggle.' “The mind is very treacherous, it takes flight and at night you begin to feel melancholy, and you search for psychological resources which might help you: Cuban music, Silvio Rodríguez, Los Van Van or sports. “Prison helps to find the best or worst in human beings. All prisons are hard. There are people who lack the strength to overcome those conditions. We had difficult conditions, principally Gerardo, in the state penitentiary, and at that moment you search within yourself, and even within the history of Cuba. You begin to think of (Antonio) Maceo, Mariana Grajales, of Martí, the sacrifices they made, of an asthmatic Che climbing mountains; you think that they too went through this, you remember our women compañeras who endured torture during the dictatorship, and that like us, they had families, they had people who loved them, who were on their side, and they withstood it. Antonio: “The lawyers we were initially given were [state appointed] public defenders. But when they learned about the essence of the case, they came to identify with us, with our families, and to feel admiration. It is not usual for a lawyer to have those sentiments for his or her client. We must mention one who never ceased fighting in this battle, our dear and intimate friend Leonard Weinglass, who unfortunately is no longer with us and was unable to enjoy this victory. “In my case, the prosecution always tried to find at least one person to testify against me, and never achieved that. That solidarity extended throughout the prison and when I was giving classes the prisoners called me teacher and this atmosphere of admiration on the part of the lawyers, the prison, and all those who knew the nature of the people of Cuba, was a constant for the Five.